Tuesday the 5th February was Safer Internet Day 2019. 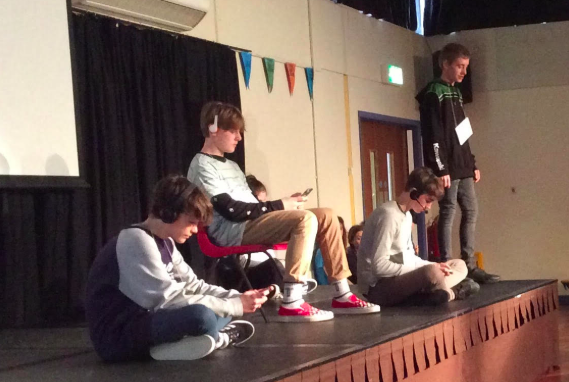 To help us spread the word about consent when using the internet, some Year 10 students from Richard Lander came in to give a series of short performances to the KS2 students. The children were engrossed in watching the actors on stage who presented scenarios ranging from sharing photos with friends to adding strangers to chat groups. Seeing and hearing these messages presented so articulately by children just a few years older than them made a real impact on the pupils here and we are sure that this will help them to make sensible decisions while investigating the digital world for themselves. KS1 shared the story of Zap and Zoom where they had the chance to share the experiences of two aliens who are asked some tough questions while playing games on the internet. The children really enjoyed the story and were able to offer some excellent advice to the two aliens. Don’t forget that we have a parent’s workshop coming up on the 6th March, with activities to keep the children occupied so that you, the parents and carers can spend some time learning about ways to help keep your families that little bit safer online.